We couldn’t have asked for a better way to kick off our 2019 wedding season than capturing Becca and Devin’s beautiful Great Lakes Science Center wedding ceremony and reception. Although Becca and Devin have already begun to create an amazing life together in New York, they chose to come back to Cleveland to make it official. It only seemed fitting that they celebrate their nuptials at the Science Center since it is the same location where Devin proposed to Becca. 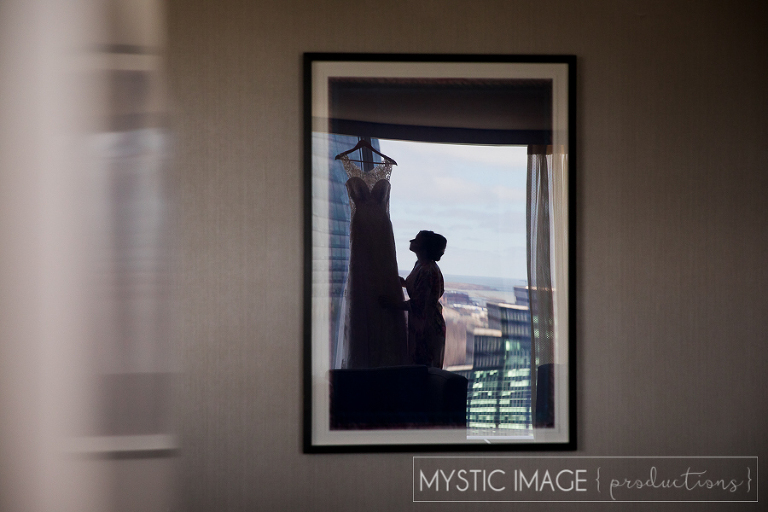 Our day began at one of our favorite locations, the Hilton Cleveland Downtown. The architecture, the décor… we absolutely LOVE getting creative there. From the inside of the hotel, they city looked picturesque (bright and sunny with a bluebird sky), but in reality was a typical cold Cleveland winter’s day. Luckily we were prepared for this situation. 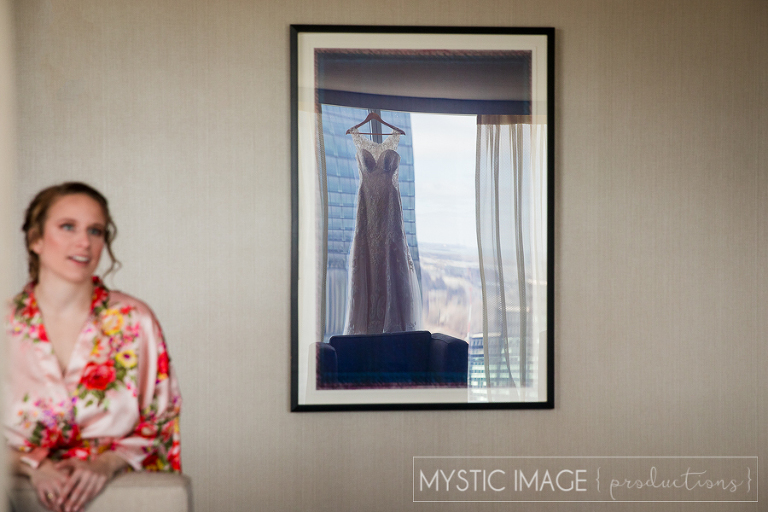 We had already decided that we would stay inside and take a few bridal party photos before heading out into the frigid temps. It only made sense to take advantage of the beautiful (and warm) hotel that we were already in. During one of our previous meetings, Becca and Devin had mentioned a few photo locations around downtown that they were excited about. Since we cannot get enough of these two wonderful people, we were determined to make these photo location stops happen for them. So out into the elements we went, eventually stopping at Voinovich Bicentennial Park. This had to be one of the best bridal parties ever! They all toughed it out through the bitter wind and cold and were such great sports. 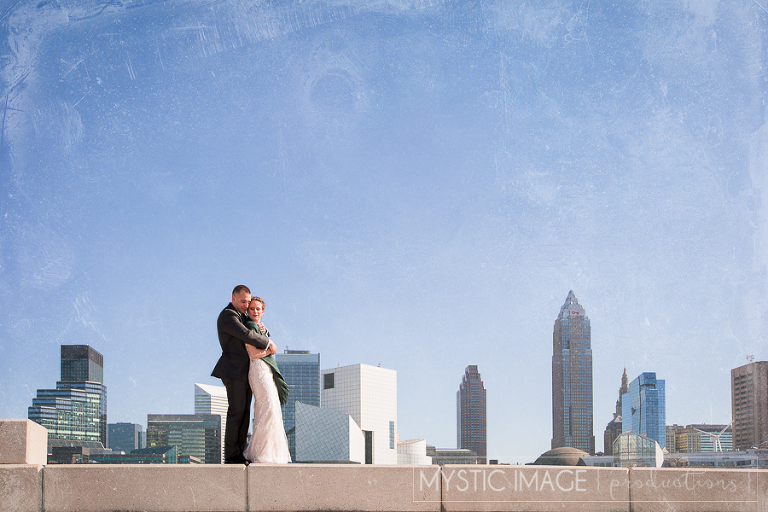 Their positive attitudes and willingness allowed us to get some gorgeous shots against the Cleveland skyline. 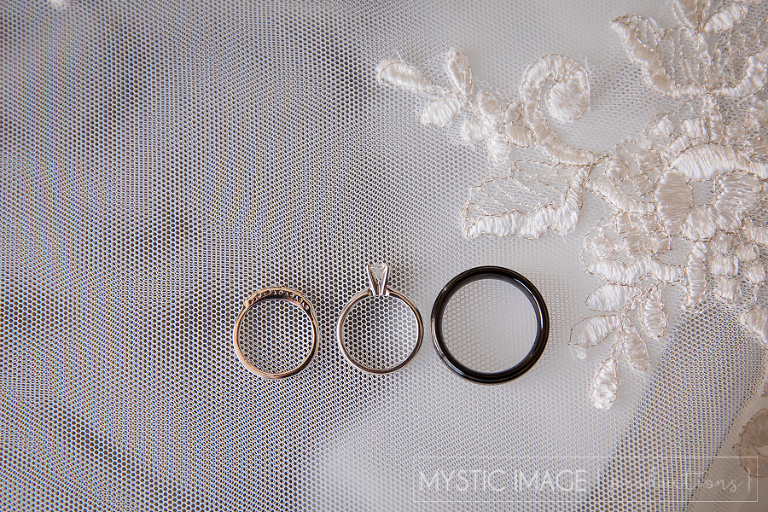 Becca and Devin, we would like to congratulate and thank you once again for choosing us to capture you perfect day… and just for being awesome! The two of you, your families and your friends are beyond fantastic and we hope that you love the images that we’ve created for you. Enjoy!